Avocado is that delicious vegetable when in season that can be found in many Bahamian backyards, but when you go into the market or go to the neighbor to get one off the tree you ask for “pear” and they’ll know what you mean. This is a new and unique way to eat avocado that you will love. Mash avocados and add remaining ingredients. Beat until smooth. Spoon mixture into baked graham cracker crust & sprinkle with graham cracker crumbs. Refrigerate several hours. 6-8 servings. Get a taste of the island favorite. This banana desert is delicious. In a mixer combine pudding, milk and sour cream for 2-3 minutes. Line pie shell with banana slices, pour pudding mixture over bananas. Top with whip cream and chill 30 minutes before serving. Sour sop is a green spinney skinned fruit with a white meaty flesh. Its flavor is tangy and sweet. Even as I write this recipe I am salivating. My grandmother would prepare this on Sundays for dessert, man those were great days. I think the hardest part of this recipe is getting your hands on a sour sop fruit. 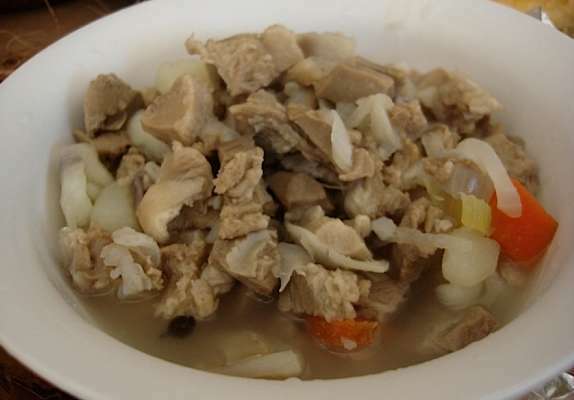 Peel sour sop, remove core and mince meat into bite size chunks. Add condensed milk, evaporated milk and nutmeg. Mix thoroughly and chill.